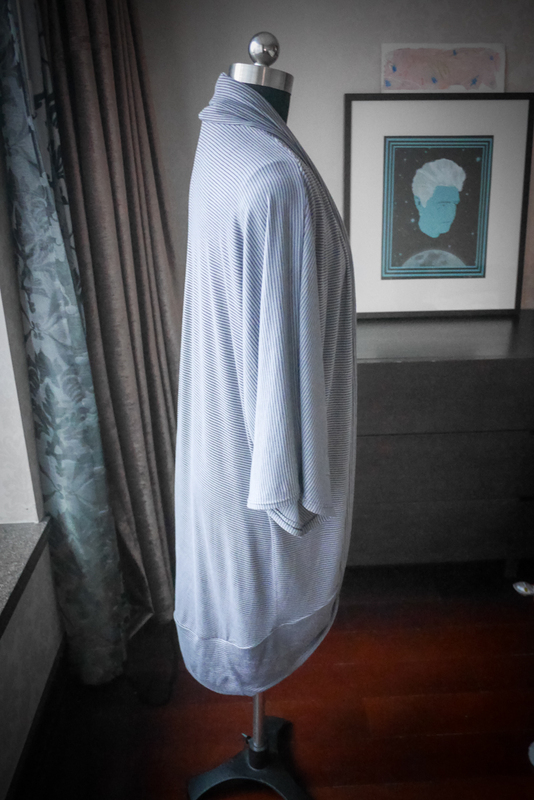 As it’s winter here in Shanghai, and probably will be for a while now we’re in the very low temperatures, I have been sewing with warmer fabrics and first up is Sew This Pattern’s Venus Kimono. It hasn’t been below zero (celcius) that often but kind of averaging 3 or 4 degrees this week. Last week we had snow a couple times and frozen water pipes! EEP. Anyways, let’s talk sewing! This is a pdf pattern, and I’ve been avoiding them just for the time factor of sticking them together… For a while, I had a problem communicating to the printer place about the large copy shop size… Over summer I tried to print my Lily & Sage dress at the full size, but they just couldn’t. It’s hard enough getting the size right with printing places, but also tricky without speaking fluent Mandarin. But, I had some successful attempts and was able to get the Venus Kimono by Sew This Pattern printed up, so no stickytaping for me! Yay! 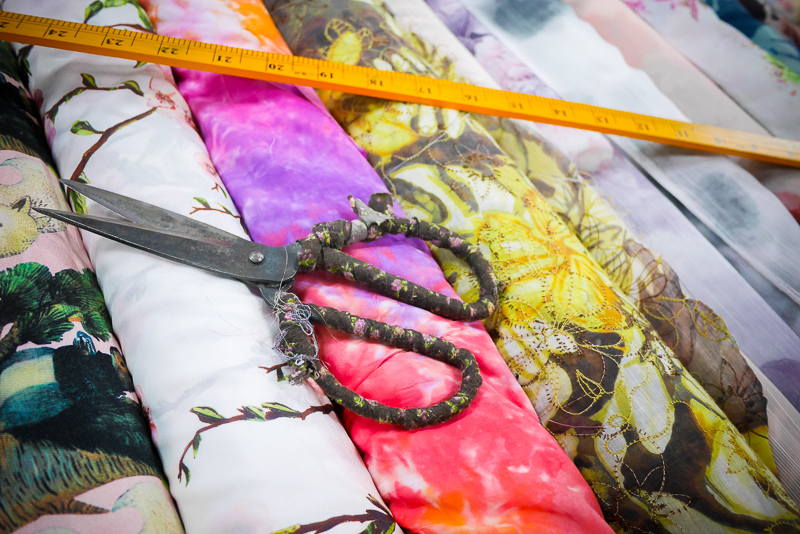 I chose this stretch fabric offcut I got for cheaps at the fabric market here in Shanghai as it had a huge stitch in the middle - you know where they join the fabric roll together with another roll or something…? It was easy to cut around though and maybe only cost $6 Australian dollars for up to 3 metres of fabric… the kimono doesn’t need to be cut on the fold, so it did help get the stretch fabric neat by cutting one layer of fabric at a time… sometimes when I'm cutting in the layers I’m not cutting correctly… wonky or off grain… might also be because I”m cutting on the floor… but let’s revisit that another time! No further options for sewing at home right now! The floorboards are flat but slippery! Because of the chilly winter, the light is really weird in my apartment... this is just around 4pm, and it makes the photos look a little like a painting... there's just not enough light for the camera to latch onto clearly... so interesting. Hard to see the garment though, but we can't change winter I guess! 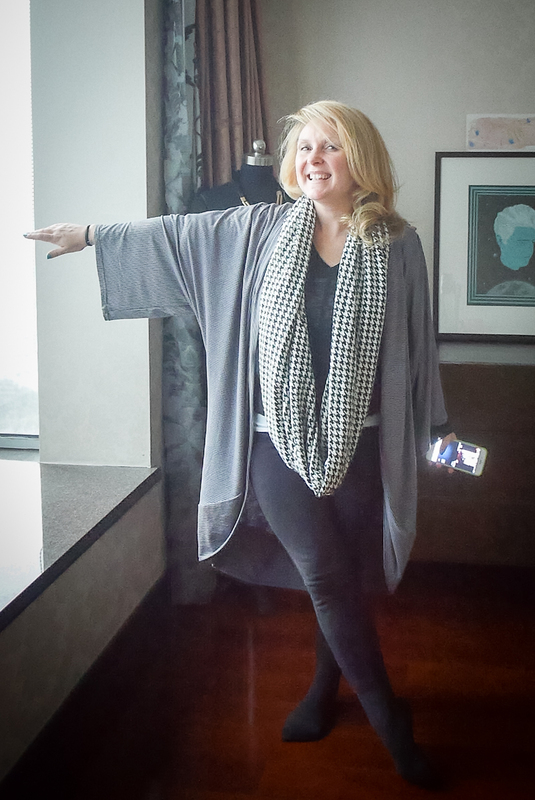 Of course, a stretch knit fabric probably isn’t exactly the right fit for the Venus Kimono… but it was the best winter stuff I had (some wooly stuff would have been fun to try, but with it being so cold right now, I don’t really want to wade around in my puffy jacket in a freezing cold market!) and so I decided to change it a bit! 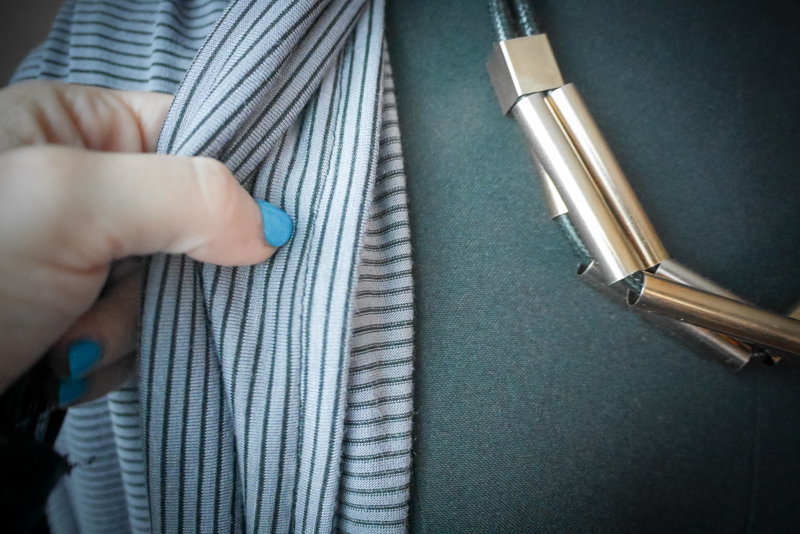 You might have noticed I’ve added a huge cowl neck/band to the entire neckline/edge instead of the rolled hem that is suggested! 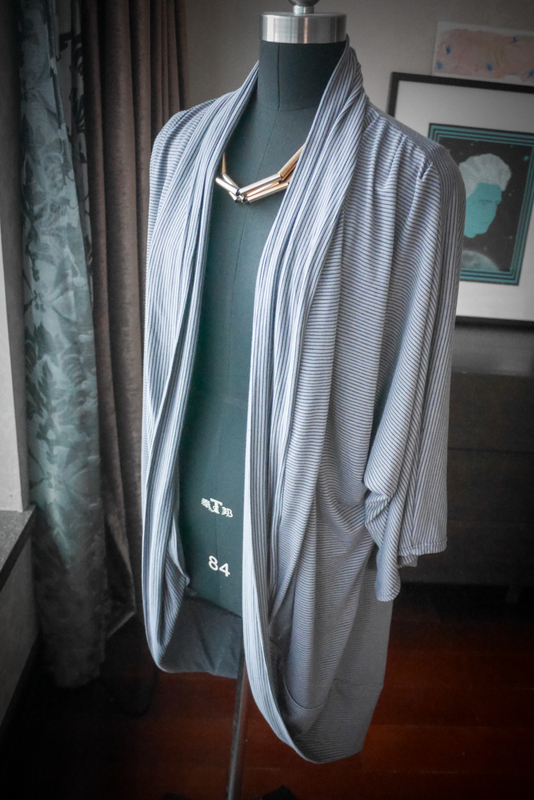 I really like the shape and was inspired by an old cardigan that I wore to death a few years ago that had the same neckband all the way around… love it. So throughout the sewing of garments, I am trying to keep track of my googling process… for it helps put together these notes… and I only investigated serging and sewing a french seam because of course, a lovely kimono that you occasionally will see the insides of deserves to have no serged seams showing I reckon! And yes you can! It made the thicker bits here and there a little harder but I”m sure with floaty fabric it’ll be deadset dreamy. 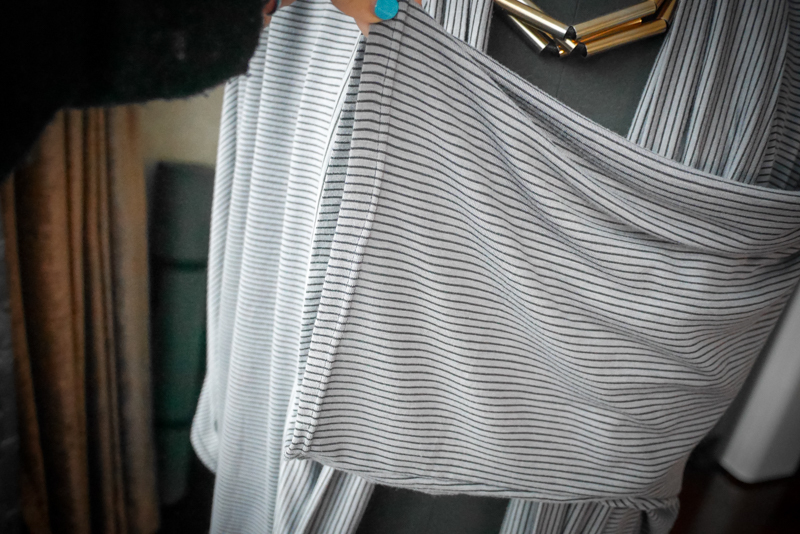 The pattern is extremely easy to put together, and I’m already thinking of a fun rayon cotton I can do for spring time.. this is the relaxed version so not as much fabric as the oversized, but probably better for little petite bods like mine, because with this neckband this is a LOT of fabric as it is. Annie from Sew This Pattern provides some beginner details in the pattern too… if you’ve never sewn a rolled hem or a french seam, this is quite helpful. As I don’t do these things all the time, I appreciate the reminder. And the big change of course was adding the massive neckband, it's probably about 20 inches wide, folded right sides together, and attached wrong side first to then do a french seam with right sides together. As with french seams ironing is always your best friend... so the inside seam is now very neat. I used my twin needles for the hemming of the sleeves and a couple times when I slipped one off the folded edge it looks a bit wonky, but otherwise I’m pretty happy with it! I bought them ages ago on Tao and forgot about them, and I say them because I went to buy just one and was sent 10… that was a deal! surprise Taobao purchases are pretty fun! Annie from Sew this Pattern shared her Venus Kimono digital pattern with me as a gift but without any strings to review, but why not… it’s certainly a lovely ‘One Size Fits All’ cover up, and in particular has some nice shoulder seam pleats that really help shape the drape of this kimono… for you could certainly guess a kimono shape without a pattern, but it might not look as lovely. I know my friend took a H&M basic one into the fabric market here and it was a very straightforward rectangle style… but I guess that’s where we as DIY fashionistas get to experiment what suits our bodies and most flatters us…. And now I’m finding that really funny as a 150 cm tall woman in a completely big oversized floppy thing! I love it though! 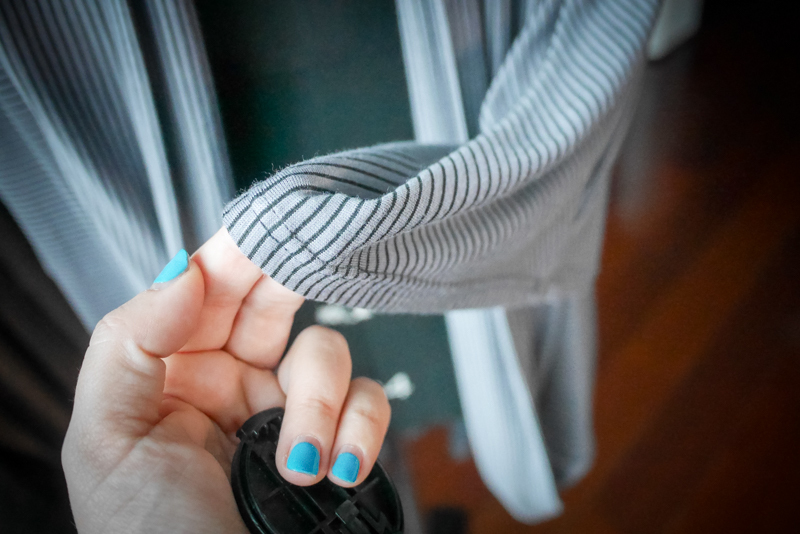 Overall, the stretch knit fabric here has made this kimono VERY loungey and when I wore my store bought pajamas the other day (Uniqlo soft ones): the fabric is identical! Ha! 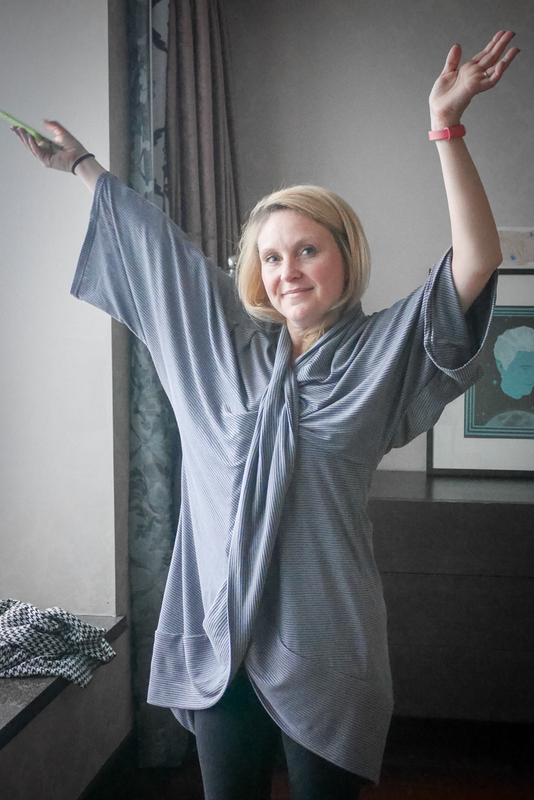 So perhaps the kimono in this fabric will now be a dressing gown. COSY!